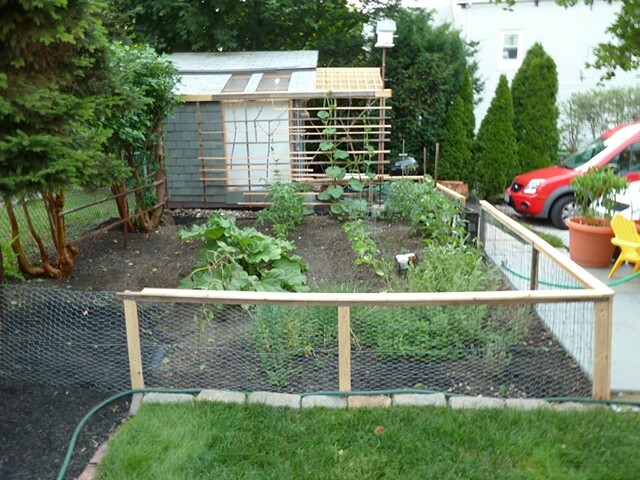 I grew a garden, and it was here that I discovered a cucumber that had grown between my fence and tree. It had become pressed flat with rounded edges and completely trapped. I’m aware of people growing square watermelons and pears in bottles but this cucumber was formally so interesting and how it was functioning architecturally was amazing. How could I keep this form from decomposing? After some research I found the Lagenaria gourds, which have been used as functional vessels for thousands of years by cultures spanning the globe and are believed to be one of the earliest cultivated plants. 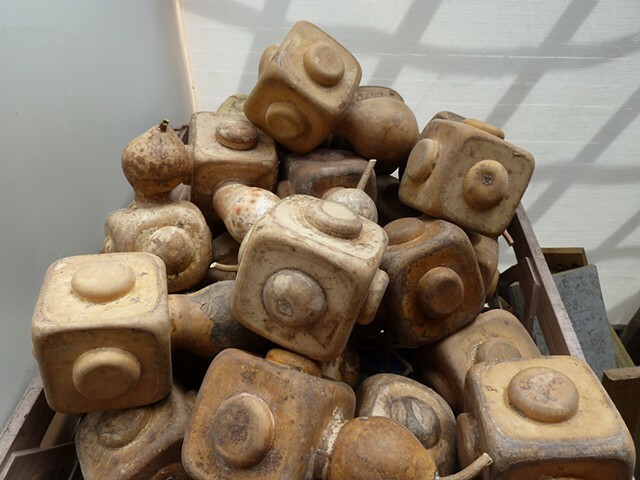 They have been dried and used as bottles, ladles, and musical instruments and today often seen as decorative birdhouses. These gourds dry to a hard, structural wood like state after being harvested. I find the Lagenaria gourd fascinating because we grow it primarily for aesthetic and functional reasons and not for food. 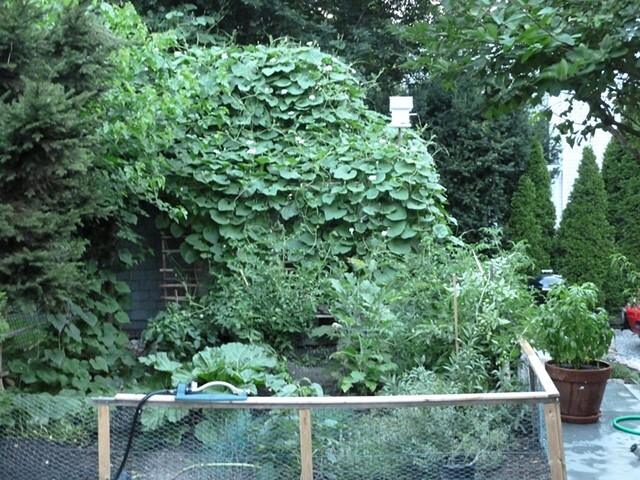 Two years ago I purchased some seeds and began growing the Lagenaria gourd. There were many learning curves to be dealt with using this new living material, but I now have an understanding of its growing parameters. That first year resulted in some successes but it was mostly a trial and error year. 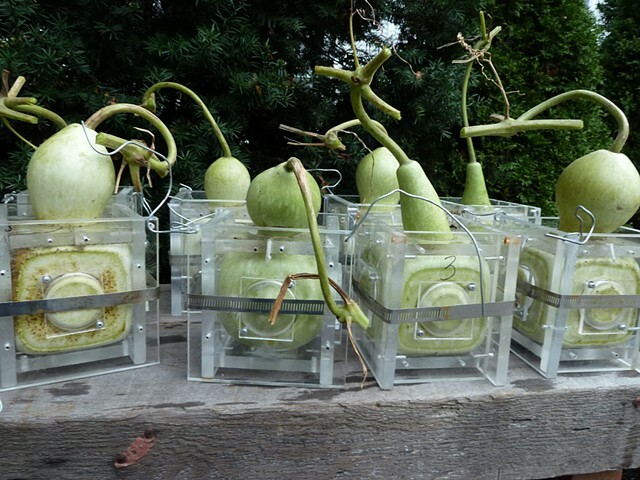 I have been growing the gourds in removable reusable acrylic cases that I designed and built. It is a basic square form with round holes cut in the flat sides for the gourds to fill while growing and form nubs or buttons. 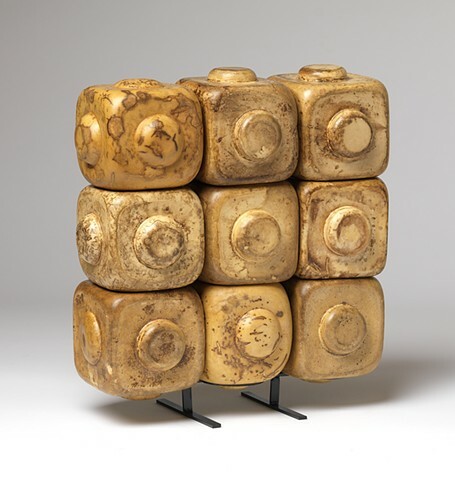 Selected buttons can then be removed after the gourd is dry and the hole left will correspond with other dried gourds, locking them together as modular units. 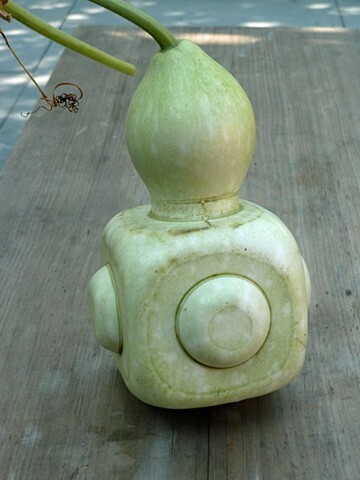 The gourd is a living plant that can be grown and molded into a predetermined, structural unit that can then be used to create formal sculpture, functional design, or architecture. 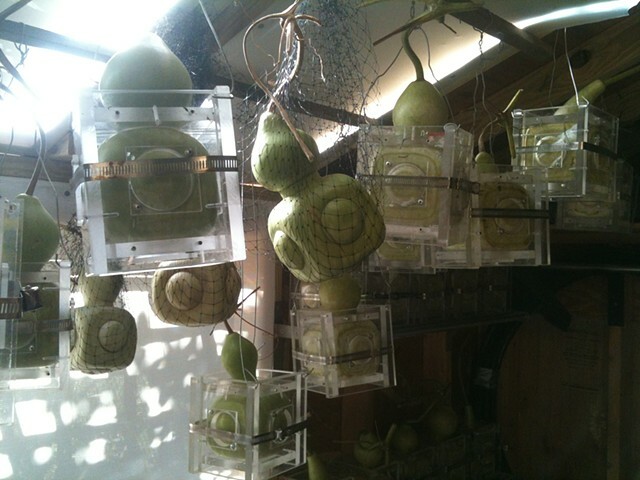 While growing the gourds in the garden I have been mimicking their shapes in my studio. 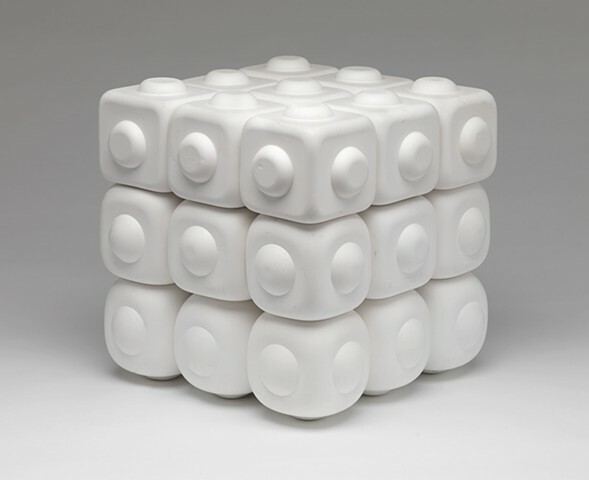 These modular units created in the studio, echo the gourd’s qualities and are built with a variety of materials, from cement to plaster. This mode of working between the garden cultivation and studio work has created a direct conversation between the two locations and I have been applying the knowledge gained from one, back to the other. These ideas and thoughts behind the processes I’ve been exploring can also be applied to other materials and forms. What if our water bottles and plastic packaging had the potential for a modular multiuse before being recycled? 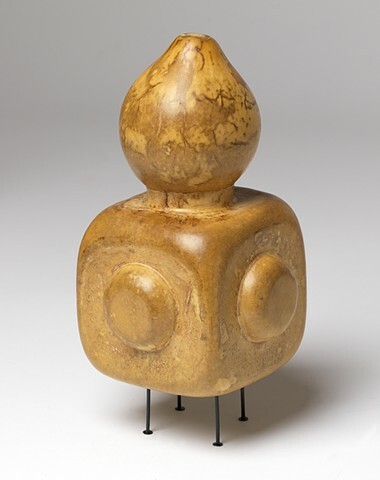 My current plan for the future is to continue the production of these gourd forms and introduce more complex geometric shapes to the visual language that has taken shape so far with the process. This project has many potential paths right now and all of them look interesting and worthy of exploration. 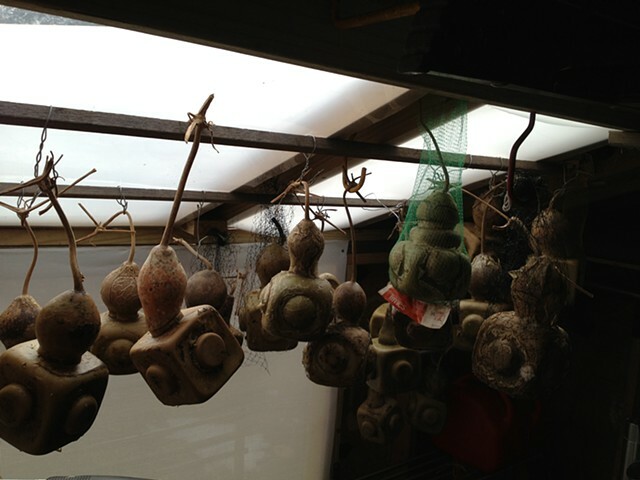 Dozens of the inexpensive cement forms, based on the gourds have already reached a new audience as bird’s homes. I have given these to people with the stipulation that I receive a photo once the birdhouse is occupied. 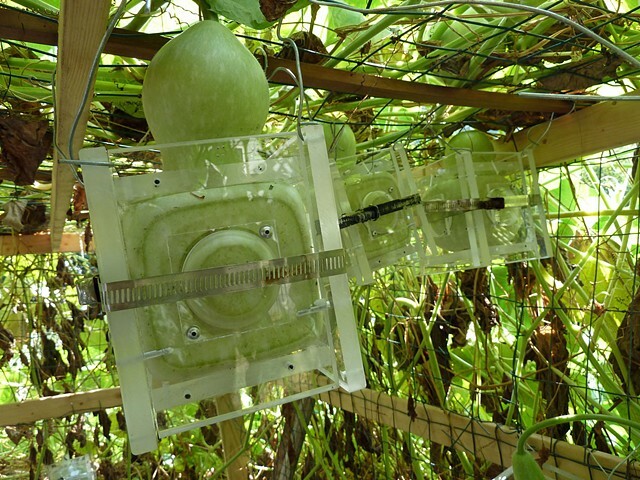 I am also interested in creating kits that would potentially include Lagenaria seeds, growing and care instructions, a portable reusable arbor (for the vines and gourds to grow on), and reusable gourd box forms. The arbor with its vines and leaves would also provide an interesting cool and shady canopy atmosphere for visitors. 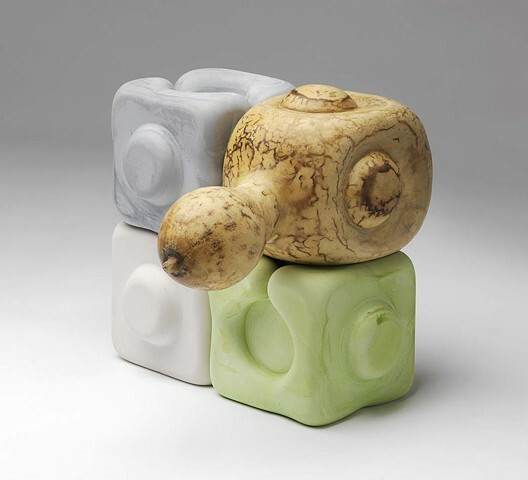 The resulting gourds could then be lasting objects for display or collection. 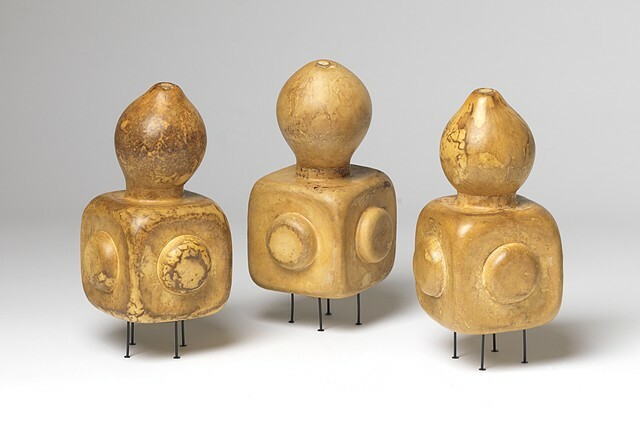 These would also have the potential to be compiled and assembled in one location with groups of gourds being borrowed from various growing sites. I envision these growing sites as both public and private areas, such as public parks or the grounds of a museum. Partially dried Lagenaria gourds in curing shed.